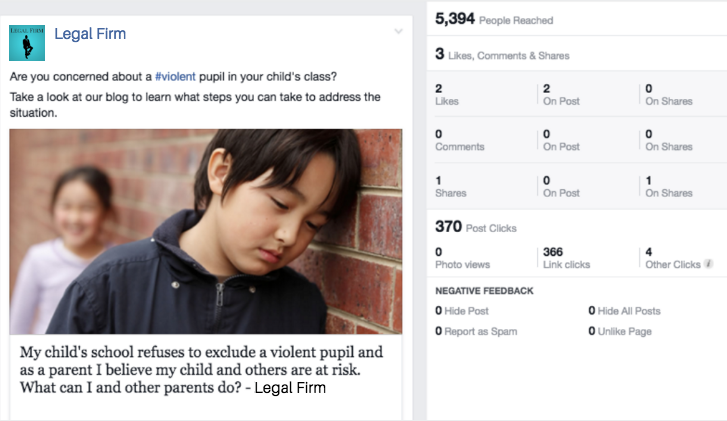 There have been a number of great moments on social media for Legal Firm this month. Below are two screenshots of two posts that performed particularly well! This promoted post reached 5,394 people and sent 366 people through to the website. This post about EHCPs gained 256 link clicks! Google Analytics tells us that Facebook was responsible for 554 hits this month. Previously we discussed promoting a case study and seeing how it performs. We did this with a case study about ADHD. Implementing this idea was successful, with the post reaching 1,309 people. "I am a disabled student and lack of reasonable adjustments by my university has affected my degree classification. Is there anything I can do?" "Some other parents and I believe that our children's school is failing on a number of levels. How do we complain to OFSTED about this?" "An EHCP has been implemented for my child but I don't believe that the school is adhering to it appropriately. What can I do?" 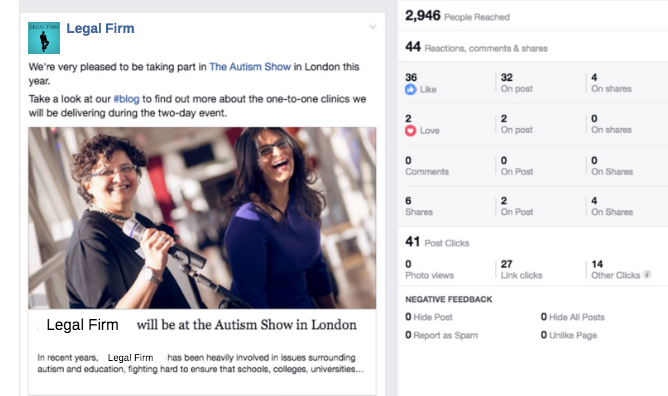 This post about the Autism Show gained 44 reactions, comments and shares, 27 clicks through to the website. 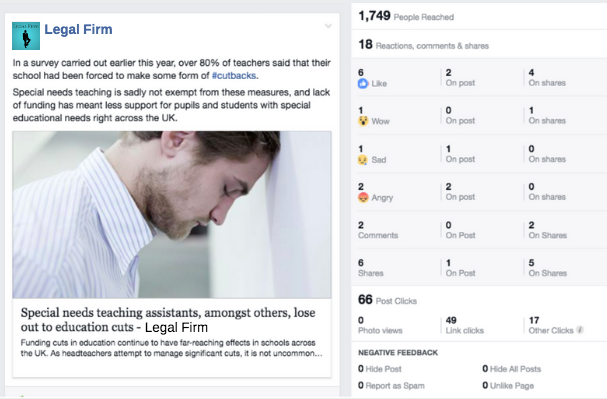 This post about special needs teaching assistants gained 18 reactions, comments and shares. 49 people clicked through to the website. 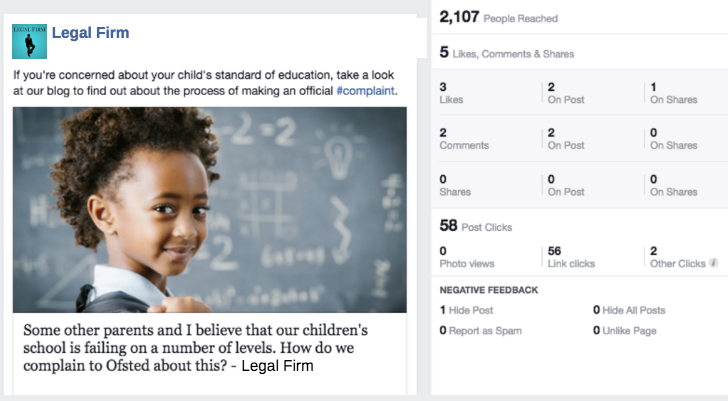 This post about complaining to OFSTED reached 2,107 people and 56 people went through to the website. 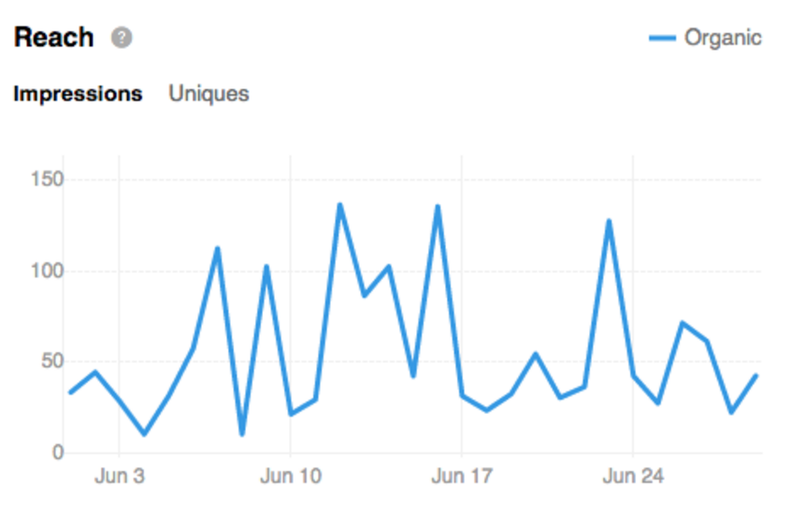 Twitter was responsible for 292 hits to the website this month. 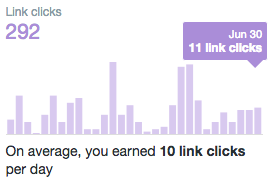 This is an increase of 41 hits from Twitter compared with last month. The average time spent on the website was 4 minutes and the average pages viewed was 2.4. Tweets from the account earned 11k impressions on average per day in July. Last month, we decided to tweet more often per day, due to the average lifespan of a tweet being just 18 minutes. 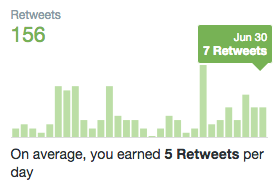 This has seen an increase of 34% compared to last month's total impressions. Posts on the LinkedIn account earned 1,776 impressions last month. One post that performed very well, in particular, was a plagiarism post. 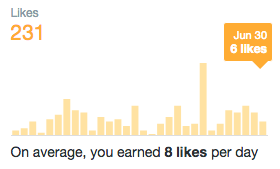 It earned 232 impressions, 4 clicks and 2 interactions. - An ADHD case study post. 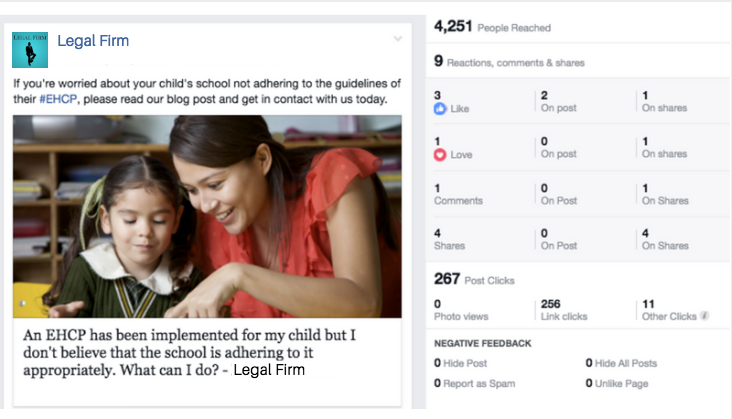 - "An ECHP has been implemented for my child but I don't believe that the school is adhering to it appropriately. What can I do?" These graphs show LinkedIn company page views and unique visits from the previous month. This post earned 232 impressions, 4 clicks and 2 interactions. Social media was responsible for 1,664 hits to the website last month. This is an increase of 23% compared to last month's total. In total, 10.8% of hits to the website came from social media. 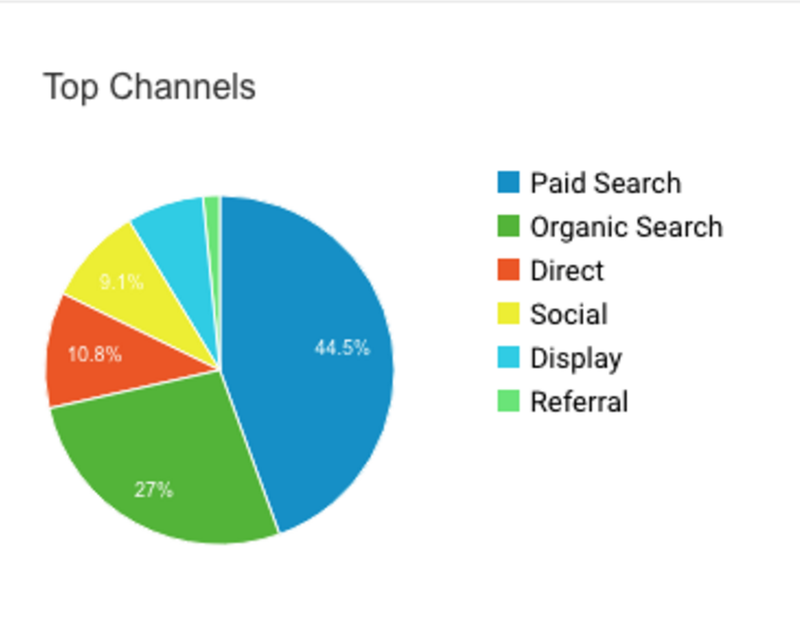 10.8% of the hits to the website this month were from social media.